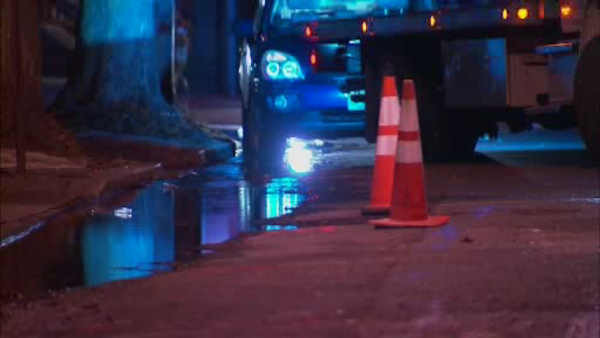 Crews were on the scene of a water main break in Jersey City Sunday. JERSEY CITY, New Jersey (WABC) -- Repairs have been completed on a water main break that left a neighborhood in Jersey City without service on Christmas Day. A water main broke at 2nd Street and Manila Avenue Sunday afternoon. The six-inch main was shut down for repairs, affecting nearly 150 people. The Suez Water Company said repairs were completed at about 9:15 Monday morning and full service was restored. One resident had a flooded basement and no service. "There's thousands of dollars in damage down there," said one homeowner. "It's not on my Christmas list."